Today I am hosting the Words for Wednesday Challenge for the last time, and I'm going to reveal my method of choosing the prompts this month! Yesterday, I posted a new section of my "Mindy Story" using my word prompts from the previous two weeks. I hope everyone has enjoyed using the words I have selected! Strangely enough, some of the prompts fit better into my own stories using a different connotation than the one I had originally been thinking of when I selected them! It's amazing how versatile the English language can sometimes be! Words for Wednesday was a meme originally created by Delores of Under the Porch Light. She used this weekly writing prompt to encouraged others to write something creative. When she could no longer continue to host it, Elephant’s Child took over for a while, and then organized volunteers to share the responsibility. Drifting through Life hosted in July, Randomosity in August. During September the challenge has been posted here, and October's prompts will be created by Margaret Adamson and her friend Sue, but published on the blog Elephant's Child. Due to a busy schedule (or probably more accurately, poor time management!) I haven't written anything using the Words for Wednesday Challenge for a while - even though it was my turn this month to supply the prompts! Today, so I can get caught up, I am publishing a chapter of my fictional short story, "The Mindy Story" using the last six of the words from the prompt on Wednesday, September 16th, and the first six words posted on Wednesday, September 23rd. At the end of this post, there will be a sneak peak of this week's prompt. Tomorrow, I will post a full explanation of the rules, and I will also then reveal how I have been picking these words all month! Part 2, A Perfect Match. The gardens, main lodge and some of the buildings at Chico Hot Springs. I mentioned earlier that I have been making some changes to my blog design and organization. 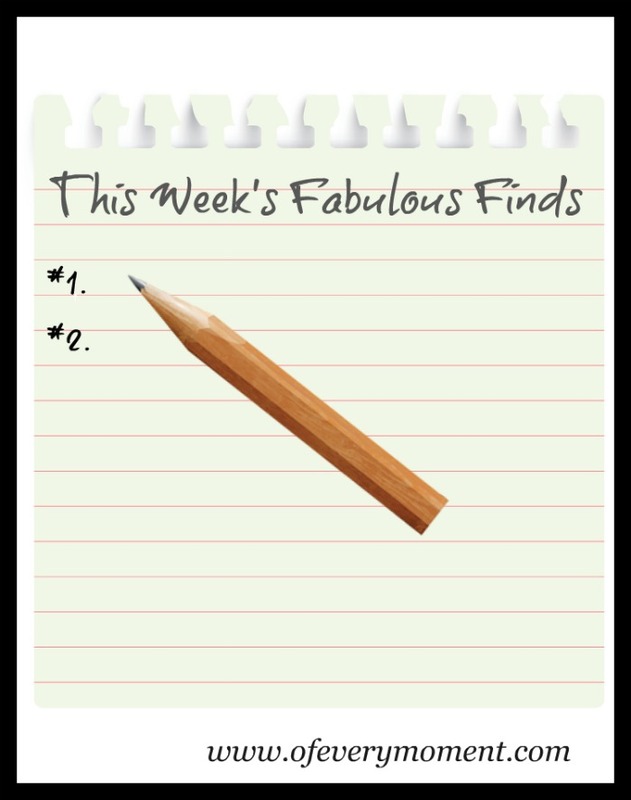 For my List of Fabulous Finds this week, I am providing links to some of the resources that have been helpful throughout this process. All of these services can be used on a Blogger platform, and offer support in addition to the services already provided there. Whether or not you have a website, if you do any creative work on a computer you may find about the first half of these links helpful. If you are a blogger, all the other links may be useful to you, as well. I hope you use my Yum button on my posts, to share some of the recipes I publish! 13. Code it Pretty and xomisse both offer detailed tutorials for adding a new Related Posts Gallery for Blogger. 14. If your website is on Blogger and you need any website help, I would highly recommend the Blogger consultant: Kim Six Blogger Support! She is very helpful and extremely patient, and I don't think there is anything she cannot do! At some point in the future, I may provide some more information about some of the services I mentioned here. Until then, however, if I've been able to figure them out, you probably will too! I hope you find this list helpful - and I can't wait for you to see the rest of the changes we are working on for my blog ! I am pretty excited about them! Have you ever used ReciPage or InLinkz? I'd love to know the pros and cons! In the spirit of full disclosure, this post may contain an affiliate link. If you make a purchase after clicking on one of them, the price you pay will not be affected but I may receive some small compensation. All opinions expressed, however, are entirely honest and my own. Yesterday, our children surprised my husband and I the most wonderful 25th wedding anniversary gift. Thanks to them, we now have a beautifully assembled scrapbook of photos and memories from our married life, which includes some letters from dear friends and family. My cat jumped on the counter, apparently with the intention of writing this blog post for me! I shooed him off - it's not a place he is allowed to be! I also told him he should have picked a harder post to write! Today, I just want to wish you a happy weekend!! When we listen to the news, so much of it seems to focus on bad things that have happened. Too often, we hear of crimes committed, injustices and wrong-doings, hurtful actions, or disrespectful attitudes. Yet, that is not an accurate picture of our world. I truly believe that most people want to help others and do good things. Some bloggers write an occasional "gratitude post" in which they list the things in their life for which they are grateful. I enjoy reading these types of posts, because they invariably help remind me of the things in my life that I am grateful for as well. This is not exactly a gratitude post - but more of a good deeds post. I hope it will serve a similar purpose though, and cause you to think about the good deeds that are happening around you - and what efforts you might be able to make to support them. I used to think good deeds should be done anonymously. Lately, however, I have realized that good deeds tend to be contagious, so it is perhaps okay to let others know of what you've done! September is an active month for some of the charities that my husband and I support. Last week we donated to a number of different causes - and marveled at the dedicated efforts some of our friends and family on behalf of the organizations we were funding. My List of Fabulous Finds is focusing this week on some examples of these good deeds. ~ ~ Walk to End Alzheimer's Disease. Words for Wednesday. What is this challenge all about? I will explain a bit - and then I'll share a recipe link and the word prompt for this week! Delores of Under the Porch Light used to offer a weekly writing prompt called Words for Wednesday, and encouraged others to use it to write something creative. Unfortunately, Delores began to have computer issues, and could no longer provide the weekly prompts. Elephant’s Child took over for a while, and then she organized volunteers to share the responsibility. Drifting through Life hosted in July, Randomosity in August. Using the prompt from last week's Words for Wednesday challenge, I have written another chapter of my fiction short story that has become known as "The Mindy Story." Mindy, the main character, lives a life that is never dull! 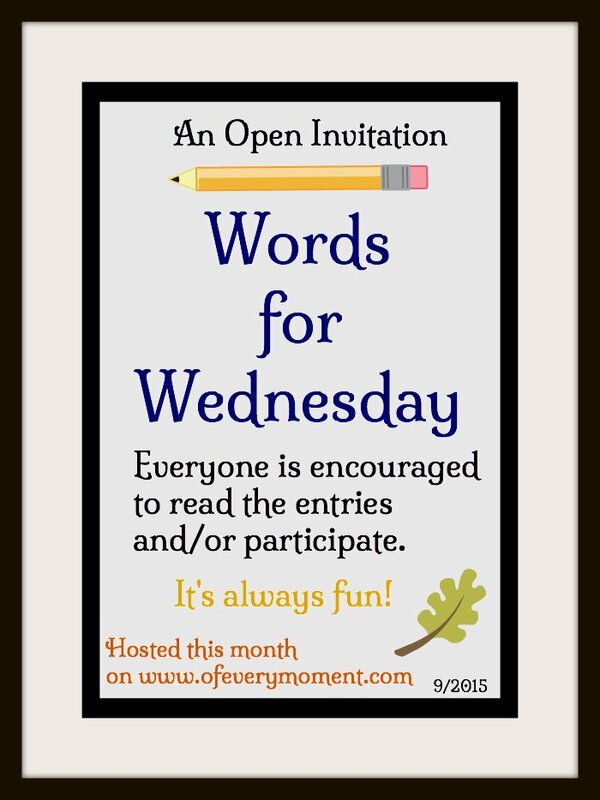 September is my month to host Words for Wednesday. If you are unfamiliar with this challenge, I will explain the rules tomorrow, when I officially post the prompt. I have realized, however, that my Wednesday is quite late in the week for participants who reside in the Southern Hemisphere - so a sneak peak of this week's prompt will be at the bottom of this post! Click here to read Part 8, Chicken Broth and Walnuts - - Oops! Mindy stabbed ferociously at the ground with the dandelion digger tool, trying to dislodge both the stubborn weeds and her stressful emotions. She had volunteered to spend the whole morning getting the school garden beds tidied up and weeded. After lunch, a truckload of chrysanthemums would be delivered for other volunteers to plant. Digging around the base of a horse statue, one of several Mustangs that decorated the school grounds, Mindy wasn't thinking about weeds though. She was still fuming about the classified ad that had carelessly been published in the newspaper. At least 30 people had rung her doorbell in the past two days, asking to purchase the gourmet cookies that had been advertised as being sold from her address! A call to the paper had revealed the mistake. The ad should have read 9 Bluebird Lane, but 9 Bluebell Lane was how it had been printed! Mindy's lived at 9 Bluebell Lane - and that was why she was getting all the unwanted visits. After that conversation, Mindy had been floating on air. She realized she was falling in love with Ryan, and she was fairly certain it was mutual. Everything in life seemed perfect, until all the strangers had begun appearing at her door, demanding to purchase gourmet cookies! Mindy had been steadily weeding, lost in thought. Having worked her way around to the southern side of the building, Mindy suddenly realized how late it was. The tour of the new school wing was to start in five minutes, and she didn't want to miss it. Standing up, she tapped at her knees to knock the dirt from her pants. This morning's tour was sort of a dress rehearsal for the school children who would be giving tours that evening - a chance to practice what they would be saying. The school trustees were really honored the school had been recognized with the coveted National award of being named a “Blue Ribbon School.” The timing coincided nicely with the completion of the remodel, so a huge assembly open to the public had been planned for that evening. Suddenly, Mindy had an idea! Why, of course! The ad mentioned that the cookies had won first prize in a baking contest several years ago, sponsored by Blue Bonnet Margarine. She could probably find the Chocolate Toffee Coffee Cookie recipe on the Blue Bonnet website! Mindy began to scheme. It appeared she already had free advertising for a product she could probably produce and sell herself! If she googled the recipe, and then baked up a bunch of cookies from it, she could sell them for quite a profit right from her door! No one would even have to know that it wasn't her who placed the ad or won the contest. Who knows, maybe she could even enough make enough to pay for a really nice honeymoon for her and Ryan some day! What a shame that she had told those first 30 people to go away! Mindy couldn't wait to tell Ryan her brilliant plan! I will be reposting this prompt tomorrow. with the full Words for Wednesday instructions. What do you think? Is Mindy's plan a good one? In the spirit of full disclosure, this post contains an Amazon affiliate link. If you make a purchase after clicking on it, the price you pay will not be affected but I may receive some small compensation. All opinions expressed, however, are entirely honest and my own. When my dog is with us on a hike, she suddenly looks much younger than her 12 years. Too bad hiking doesn't seem to have that sort of permanent affect on me! I hope you will visit this blog again next week. As always, there will be a variety of ideas for how to make the most - - of all you moments. Next week I will also be publishing more of “The Mindy Story” and hosting the Words for Wednesday writing challenge. Have a safe, healthy, and happy weekend. I hope you get to explore a mountain trail, get lost in a good book, or do something that rejuvenates you. On this day, September 11th, people all over the world take a moment to pause and reflect. It is a day marked by bravery, loss, tragedy, and hope. It is a time in our history that we all wish we could erase, but one that we should never forget. I invite you to take a moment to remember, before you read this post. Welcome - or welcome back - to My Week of Fabulous Finds! It wasn't until after I compiled this list that I realized that two of the links refer to two types of (B)bears! I mention Whiplash - but not the kind that makes your neck sore. Fog is the most natural reason for hazy skies - but two very different causes of reduced visibility and particle-filled skies occurred this summer. I'm so impressed: Lauren Singer taught herself to live a “zero waste” life, I've struggled just trying to use up all the zucchini I grew myself! I hope you enjoy this week's links! No, I did not meet him in person, but when my son was in middle school he could impersonate him with precision. This “Bear Gryll” persona would appear during our hikes and entertain us with his accent, while educating us about every rock, plant, and potential predator lurking around each corner. We would be in stitches, laughing so hard we had to beg my son to stop so we could breath. President Obama recently spent some time filming with the real Bear Grylls. While I have no doubt he enjoyed the experience, I bet the President would have had just as much fun listening to my son's impersonations on one of our hikes! I couldn't find a photo from those hikes, but here is one of my son from about that same time period. Bear Grylls fed the president salmon left over from a bear; my son's method of catching fish was with a rod! ~ ~ When you come across a bear, there's no time to research what to do! This is Part 9 of my fiction short story that doesn't yet have a permanent title, but has become known as "The Mindy Story". The main character is Mindy, a delightful young woman who has struggled with some hoarding and compulsive shopping tendencies, and whose life is never dull! 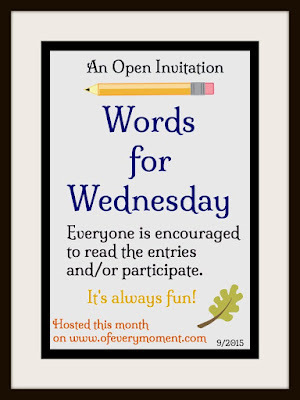 The Words for Wednesday Challenge was originally started by Delores of Under the Porch Light. It was continued for a while on the blog Elephant's Child, then moved to River's blog Drifting Through Life in July and now to Randomosity this August. This month it is my turn to provide the word prompts for the challenge! I wondered what it would be like to write from a word prompt that I had supplied myself - but I was still quite surprised by the turn this story took. Lighthearted up until now, the mood has changed a bit. The sky is gray and our mountains have disappeared from view yet again. Today, it is because of clouds, not smoke from forest fires. We are getting a steady, soaking kind of rain. Even our dog seemed to welcome the rain this morning. She chose to get wet, versus going in her doghouse or asking to come in! I don't usually hope for rain on a holiday weekend. This is certainly not the kind of weather I would normally hope for on a three-day weekend, especially as we have a number of outdoor things planned. However, this downpour is just the sort of rain needed to dampen forests and help extinguish wildfires. It would be selfish for me to complain, or wish for drier weather this weekend! I just hope it is enough water to quell the flames and enable the firefighters to return home. Last year I wrote two posts about Labor Day. One mentioned the weather, and in the other, I reminded everyone to be extra-careful driving during the increased holiday traffic. The best advice though, is really just to be careful all of the time! Coming home from a high school soccer game this past week, on a fortunately fairly empty highway and traveling the speed limit of 70 mph, our car struck a deer. It was unavoidable, and I was grateful for my husband's defensive driving skills. Had he not slowed as much as he had in the instant after we saw the deer, or if he had swerved or hit the brakes hard, the outcome might have been much more dire. The only damage done was to the poor deer and the front of my car. This collision with a deer has me thinking about a lot of things. It's hard to believe an impact with an animal that probably only weighed 100-to-125 pounds can do that much damage. I hope I am as good of a person as the woman who gathered the parts of our bumper up off the road, and stopped to be sure that we were okay. We didn't learn her name, and I was on the phone with 911 at the time, so I didn't even get to thank her. We were very grateful for her help! Most of us feel like we pay too much for insurance - but right now I am very glad we have it. I locked eyes with the deer just before the impact. I can't get the vision of her lovely face out of my head, and I wish that she had leaped safely off the road. I am grateful her body did not come through our windshield, or cause anyone traveling behind us to have an accident. We think we are in control of our lives - but circumstances and priorities can change instantaneously. Being happy has less to do with what happens to us, than with how we view the things that happen. In this moment, we could have complained about the rain pelting the front windshield - or felt lucky for the beautiful scene behind us. make the most - - of all of it! About ten days ago I mentioned the abundance of zucchini in my garden. Instead of covering a variety of topics in my “list of fabulous finds” this week, today's focus is on the research I have done regarding ways to use this prolific vegetable.